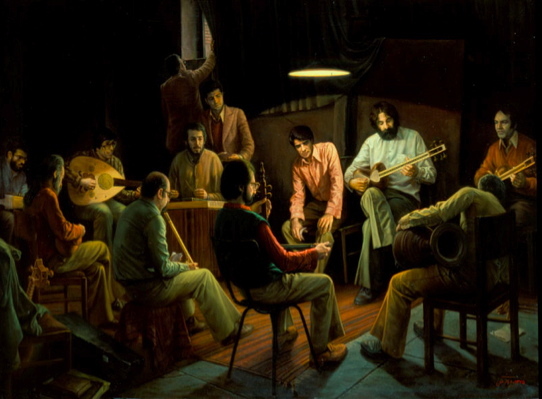 A painting by world-famous Iranian painter Iman Maleki, depicting a group of Iranian men relaxing and enjoying some traditional Persian music being played on the setar, tar, oud, and ney. Please see the link at the end of this 'Window' for more of his works. Greetings. I hope you are continuing to enjoy the summer. My summer has turned out to be as lively as the academic year usually is. Let me briefly report. * Last week I got together with my undergraduate classmates in a Shiraz University reunion held in San Diego! San Diego and Shiraz are both beautiful cities, in different ways. We had a panel organized on Rumi’s poetry. Besides that, I read poetry to music. * Another exciting piece of news is that I have accepted to be the honorary Co-Chair of a vibrant emerging organization called “Iranians For Peace” (IFP). Our Board consist of five very able and dedicated women of Iranian heritage (more to be added). The main goal of this non-partisan group is to prevent war through promoting peaceful cultural education on Iran. On some level, this is what I have been engaged in for a sometime. These windows are an example of that. I hope you get a chance to visit our website, stay abreast of the activities, and provide us with your support: http://www.iraniansforpeace.net. * And on August 2nd, I had a piece published in the online newsletter Counterpunch: http://www.counterpunch.org/keshavarz08022008.html. I hope you find them useful! * Enough of my activities. Many Americans are working hard to bring about an understanding of the diversity of Iranians in Iran and in the US. 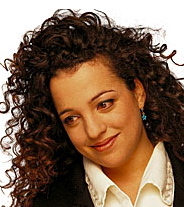 Watch this fascinating clip which was sent to me by my friend, and a board member of the IFP, Leila Zand: http://www.searchles.com/channels/show/4563 (or view below!). What do Do Iran and America Exchange? * Before I put the finishing touches to this window, I recieved a great clip from another friend Ladan Foroughi-Hedayati related to the subject of Iranian basketball. It is an MSNBC report on the recent visit of the Iranian Basketball team to the U.S. The report is great in showing a side of Iran that we rarely see in our media here. However, sadly, the report follows the general tradition of connecting all Iran related news to the American hostages. We even listen to President Bush declaring Iran to be a member of the axis of evil before we see a few minutes of the game. The formula prevents one from seeing the humanity or normality of Iran because we are first told about all the possible differences, disagreements, and political conflicts. Still, I hope you enjoy the basketball part: http://www.msnbc.msn.com/id/21134540/vp/25796284#25796284. * Speaking of political conflict, despite the apparent calm, the predictions concerning the Iran/US relations are not hopeful. What you hear in the mainstream media is that Iran is about to turn down the EU package of incentives and there should be more UN sanctions. However, the view from the other side is different. Take a look at this article discussing the views of Francis Boyle, the influential intentional lawyer, to get a different perspective on the situation: http://www.commondreams.org/archive/2008/07/29/10672/. * There is an interesting clip, that my friend Bahar Bastani sent this week. It highlights a part of the famous interview that Mr. Mike Wallace conducted with President Ahmadinejad which has not been included in the official broadcast of the interview. Since Mr. Ahmadinejad ‘s words are often used as justification for sanctions or possible attacks on Iran, it is important to know exactly what he has said regardless of our personal interpretations of it: http://www.youtube.com/watch?v=onNzrNEFs1E (or view it below!). 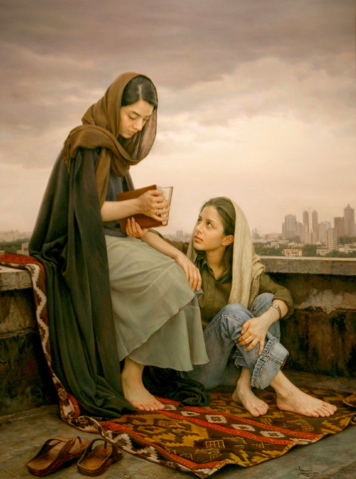 A painting by Iman Maleki of two young Iranian women reading on the roof of a city building. Please see the link to the left for much more of his art work. * If you are familiar with Persian culture, or have been following these windows regularly, you know that painting is among the most popular art forms in Iran. I have usually been sending you paintings of Iranian women, in part because it counters the myth that they are subjugated, inactive, or unable to express their creative talents. In this window, however, I want to introduce the works of young man, an amazing master painter whose works have been getting him international fame in the recent years, Iman Maleki (1976-). Maleki has experimented with a variety of styles but he is mostly a realist whose works have a strong cultural flavor. Click here to see a slide show of some of his tremendous work: Iman Maleki Paintings. Enjoy! I hope you enjoy this window. A beautiful shot of a frozen waterfall in the Khorasan province of Northeastern Iran (see the link below for more pictures from this striking natural wonder). * Last winter, in the province of Khorasan in North East of Iran, a huge waterfall froze. Behnaz Seyedi, a female Iranian photographer, took advantage of the natual art display and took the following photographs. 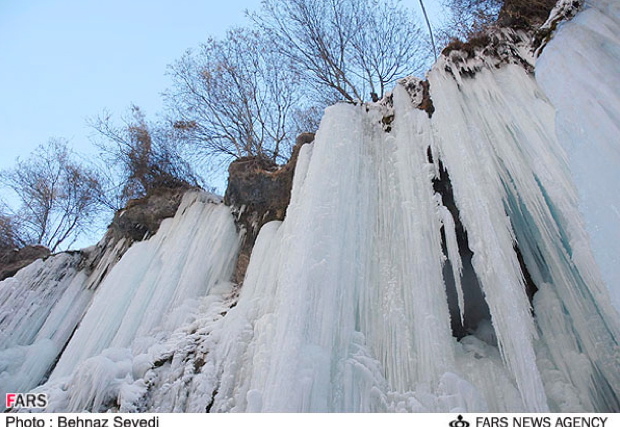 Please click here: Frozen Waterfall of Khorasan. Enjoy! Iranian Women Inventors Shining in International Competition! * Bagging 12 gold, five silver and six bronze medals, Iranian women inventors gained the first place among 25 countries participating at the international event, held in the South Korean capital of Seoul from May 8 to 10, 2008. Among their inventions: surgical equipments and electricity generators. In this prestigious international event, Iranian female inventors competed with participants from 25 countries including France, Switzerland, Japan, Romania, and Australia and got the first place. For the full article please visit: http://www.tehrantimes.com/index_View.asp?code=168969. Iranian Maryam Eslami won the International Federation of Inventors' Associations (IFIA) Award for the surgical tool she invented that is used to repair the olecranon. 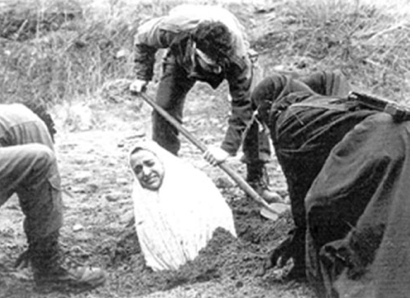 This infamous picture is actually a frame from the 1994 Dutch indie film entitled "The Stone," directed by Mahnaz Tamizi. The woman in the ground is an actress named Smadar Monsinos and a real photo of her is to the right. The actress Smadar Monsinos (above) is the woman featured in the frame (on the left) from the indie Dutch movie "The Stone." This particular frame from this movie is frequently used by critics of Iran as if it were a real historical image. * Enjoying creativity of artists has a great healing quality. 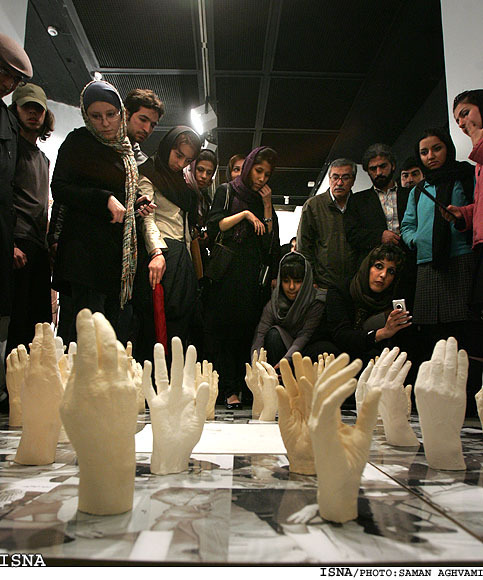 Let us move on from the fictional “stoning” image to actual art work by Iranian women, their creativity with clay. Here is an exhibit of amazing pottery work by Iranian women. 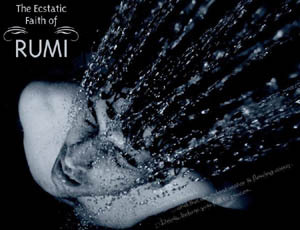 Click on the link below…and enjoy: http://www.jadidonline.com/images/stories/flash_multimedia/Women_sofalgari_eng_test/sofalgari_high.html. * The past ten days or so have been tense and rather worrisome with fiery statements and grim predictions of a possible military assault on Iran by the United States and/or Israel. Cooler heads seem to be at work to insert a note of sanity into the discussion. * Iranian top politicians sound more positive in the past couple of days as well. In an interview with the Associated Press, the Iranian Foreign minister Manouchehr Mottaki said Iran was considering the package presented by the European Union’s foreign policy chief, Javier Solana on behalf of the permanent members of the U.N. Security Council and Germany. He praised as “very constructive” Solano’s response to Iran’s proposals on the subject. Mottaki said he saw “significant capacities” being explored in the latest round of talks that were not present earlier. Mr. Mottaki is in New York for talks at the United Nations. He hinted there has been diplomatic progress on easing tensions with the West at a time of heightened concern. 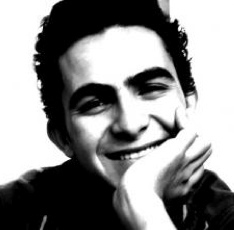 To read the full interview, visit: http://www.campaigniran.org/casmii/index.php?q=node/5474. * The truth is neither war nor sanctions solve problems. They both kill innocent individuals, and postpone processes of positive social change and evolution. It is time to realize that as a large, complex, and vibrant society, Iran has plenty to offer the region and the world. And that the country must be engaged in a serious and constructive manner. Despite what the mainstream U.S. media will often lead you to believe, women in Iran are very active in society and are well-represented in every major field of work. 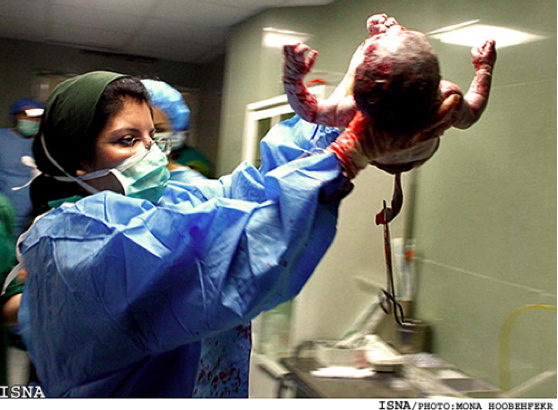 Above is a (female) doctor delivering a newborn in a Tehran hospital. Also included in the picture show (linked on the left) is Iranian women firefighters, computer technicians, factory workers, and artists. * Since we have been focused almost entirely on Iranian women in this issue, I would like to close this window with a slide show of very recent images of Iranian women at work in all segments of the society. 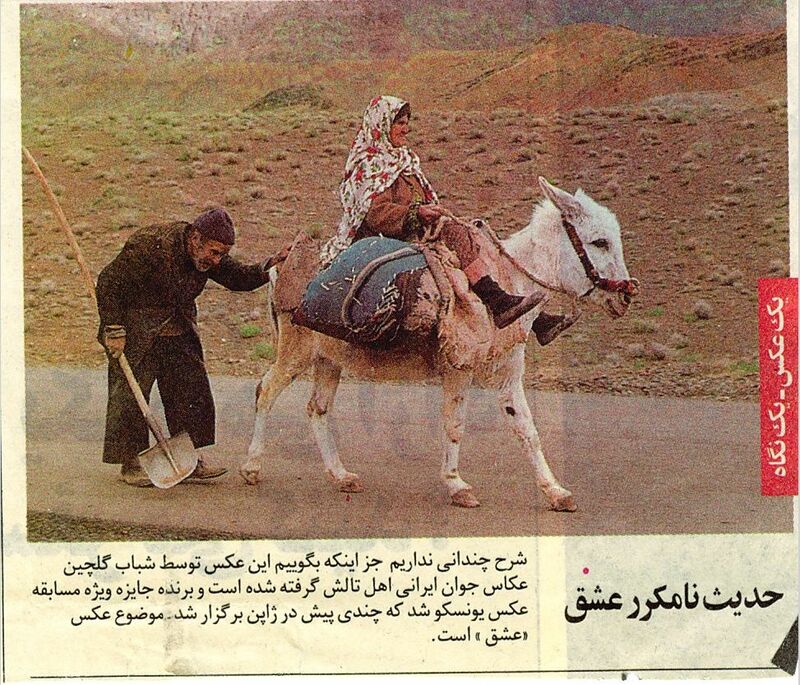 Please click here: Women at Work in Iran. Till the next window, have a wonderful summer and a great weekend! Scott Ritter, former Chief U.N. Weapons Inspector, will be in St. Louis this week speaking at both Washington University and the Saint Louis Ethical society. Please come join us! * On Friday, April 4, at 2:00 p.m., he will speak on Washington University campus addressing the issue of Iran as a nuclear threat. The event is designed specifically for Washington U. students but it is open to public. Click here for the flyer: Scott Ritter Talk at Washington University. * The larger public speaking event is held at the St. Louis Ethical Society on Friday April 4, at 7:30 pm. Mr. Ritter will address the possibility of a U.S. military assault on Iran. In this event, two distinguished panelists, Professors Leila Sadat (Washington University) and John Renard (St. Louis University), will briefly add their insights to Mr. Ritter’s presentation before the floor is open for Q & A. Click here for the flyer: Scott Ritter Talk at Saint Louis Ethical Society. Prof. Leila Sadat (Washington University) is an internationally-recognized expert on international and human rights law. Prof. John Renard (St. Louis University) is a distinguished scholar of Islam and the author of the classic "Seven Doors to Islam." * Finally, on Saturday April 5, he will speak and participate in a workshop on peace from 9:00 to 12:00. For details, you can call (314) 723-4991. These should be very informative events about Iran. I look forward to seeing you there. Happy Nouruz Everyone!!! Persian families throughout the world right now are celebrating Nouruz (Nowrouz), the Persian New Year. 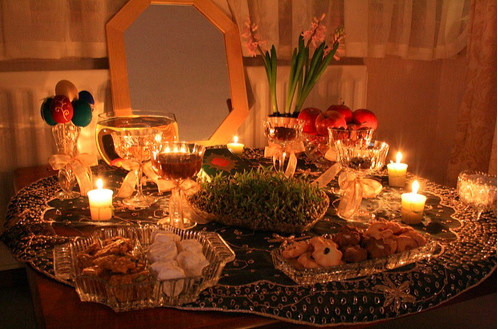 Above is an example of a "haftsin," which is a special table prepared for the Nouruz celebration. Greetings and a very Happy Spring to you! We are in the first week of Nouruz, the Persian New Year. How can I not come out of sabbatical to open a new window, even the ground hog is out. I’ll make this a pictorial essay as far as possible (Usually I attach one slide show only. Hope it wouldn’t be too hard on your computers). * Persian speakers call the Near Year Nouruz (literally A New Day) to highlight the refreshing and life-giving nature of the season. Linked below is a power point show on how Nouruz is celebrated in Iran and other Persian speaking parts of the world. If you are a teacher, I hope it will help in the classroom. 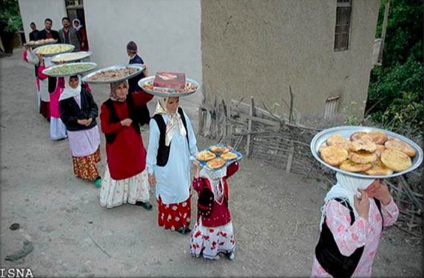 Please click here: The Nouruz (Nowrouz) Celebration. A young Iranian photographer took this award-winning and heart-warming photo, entitled "Love." * If you like to look up information about Iran or Persian traditions, one of the best reference sources available in major libraries is Encyclopedia Iranica edited by a prominent Iranian scholar Ehsan Yarshater. To read about him and the encyclopedia visit: http://en.wikipedia.org/wiki/Ehsan_Yarshater. Distinguished Iranian scholar Ehsan Yarshater with Iranian Nobel Peace Laurette Shirin Ebadi (left) and the prominent Iranian author and women's rights activist Mehrangiz Kar (right). 1. Vice President Cheney’s extended tour of the Middle East: here is an interesting essay by Micheal Klare, professor of peace and correspondent for The Nation: http://www.agenceglobal.com/article.asp?id=1515. 2. According to Japan Focus, an Asia Pacific Electronic Journal, a unit within the US Treasury Department, the Financial Crimes Enforcement Network (FinCEN), issued a March 20th advisory to the world’s financial institutions about transactions with Iran. Apparently, this is an important economic move to further isolate Iran: http://japanfocus.org/products/details/2707. 3. So far President Bush had described Iran as a threat to its immediate neighbors. This seems rather unusual since four of Iran’s neighbors have substantial U.S. military bases on their soil and two of them or are invaded by the U.S. It now appears that the French President Sarkozy has joined the heads of states who feel threatened by Iran. Speaking Friday in the northern French port of Cherbourg, President Sarkozy described Iran as a threat to Europe. In light of the fact that the U.S. army is sitting on three sides of Iran, not to mention the U.S. full presence in the Persian Gulf, most observers will find this claim exaggerated at best. However, the substance of this claim is less important than the hostile tone that the French president has adopted. 4. Finally, the most troubling recent development of all is the report by Egyptian sources that an American nuclear submarine has crossed the Suez Canal to join the US fleet stationed in the Persian Gulf: http://www.campaigniran.org/casmii/index.php?q=node/4439. Could all of these be coincidences? One would disparately hope so…and no one can be sure. But – if you are among the people who feel you must work to prevent another disastrous war- this is the time. A beautiful painting by the very talented Iranian painter Sepideh Farzam (please click the link below for more of her outstanding work). * If you are a regular reader of “Windows on Iran,” you know that we have a tradition of following unpleasant political events with art work from Iran. So, traditionally I close each window with a power point slide show of a recent painting exhibit in Iran. I hope it washes off the bitter taste of political conflict but also demonstrates the creativity and vibrancy of the current Persian culture. For this reason, I pick most of the paintings from the works of young artists and mostly women. 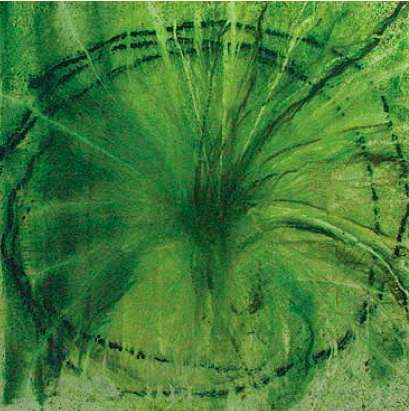 * Today’s artist is Sepideh Farzam, she was born in the city of Tabriz in north east of Iran. Unlike most artists featured in these windows, she is not a graduate of and an art program. Sepideh, is an electric engineer by profession, an engineer who has followed her interest in painting quite seriously. 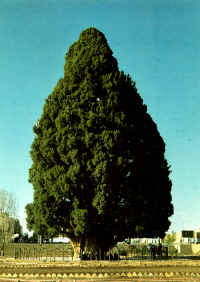 She has had many group exhibits in various galleries in Iran. To See Ms. Farzam’s latest show, please click here: Sepideh Farzam Paintings. It is a fairly small exhibit. Enjoy. Let us hope that the joy of this Nouruz will not be tarnished with the news of another war. Till our next window, have a great spring. I hope you are all well. This window must have surprised you. I apologize for the very long delay, and thank you all for the kind messages of inquiry that you have sent me during this time. If you wrote to me recently, you know that I am on leave of absence from the university, and that I have been trying to spend the time for research and my next writing project. * The new set of sanctions make it harder and harder for Iran to maintain normal trade relations with the world. And even though it is usually presented as an alternative to military action against Iran, it in fact gives the U.S. Navy the right to inspect any “suspicious” cargo that would go in and out of Iran. In other words, it could very well pave the way for further confrontation. * Unfortunately, the message sent by the U.S. media is a repetition of the old line: Iran is getting a slap on the wrist because it continues to defy the “will of the international community” which wants it to abandon its ambition for nuclear power (possible to be used for producing weapons down the road). * In fact, the latest report by the International Atomic Energy Agency (IAEA)- which the members of the Security Council do not seem to have payed any attention to – appears to provide the opposite picture. The report indicates that the Agency considers the major questions they were investigating ” no longer outstanding at this stage.” Furthermore, the IAEA Director Mohammad ElBaradei said in Q&A with reporters: “we have managed to clarify all the remaining outstanding issues, including the most important issue, which is the scope and nature of Iran’s enrichment program.” The question for the world to ask at this point is: Why would this conclusion not lead to the easing of sanctions and a change of the interactive mode with Iran from confrontational to cooperative? * In many places in the world, people are asking this very question. Here is an excellent article by Siddharth Varadarajan published in The Hindu, the on-line version of India’s national newspaper. In his perceptive and carefully argued essay, Varadarajan expresses amazement at the U.N. for escalating a problem which seems to have in fact been resolved: http://www.hindu.com/2008/03/05/stories/2008030554841000.htm. * The latest IAEA report, and the fact that Iran has been cleared of all outstanding charges, can indeed be a chance for starting a new relationship with Iran and ending the nuclear crisis by implementing the additional protocol which would guarantee the country will not use its nuclear resources for a weapon’s program. Here is another interesting analysis: http://www.campaigniran.org/casmii/index.php?q=node/4185. Iranian artist Adel Younesi (click the link on the left for more of his oil painting renderings of scenes from the streets of Iran). 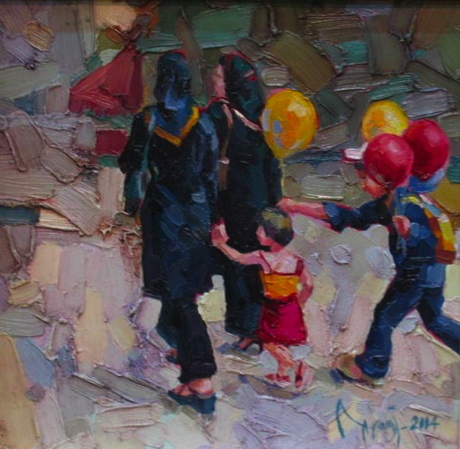 * Before I close this very brief window, I must honor our tradition of sharing a visual delight with you: a slide show of a recent exhibit of a very young Iranian painter Adel Younesi who paints with oil on canvas and has an eye for people on lively street corners. Please click here: Adel Younesi Oil Paintings. Enjoy! 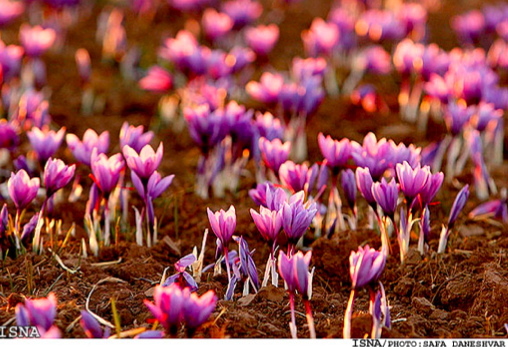 An up-close look at the beautiful Safran fields of Khorasan. 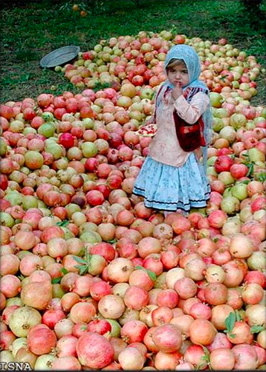 Please see below for many more striking photos from the annual Safran harvest in Northeastern Iran. I hope you have had a nice and restful Thanksgiving. If you have added a friend’s name to these windows, please give us a few days before we could add new names to our mailing list. And now, let us open window 44 without further delay with recent images from Iran. * Iran is one of the major producers of “zafaran” or “safran” in the world. To see beautiful scenes of working on safran fields in the North Eastern province of Khorasan, click here to view them: Safran Fields of Khorasan. My thanks to Dr. Bastani for circulating these wonderful images. 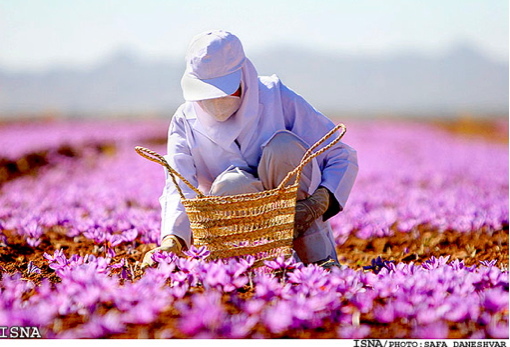 An Iranian woman harvesting Safran in the fields of Khorasan (please click the link above from more beautiful photos). * Letter to Missouri Lawmakers: Here in St. Louis, my tireless activist friend and colleague Andrew Wimmer of the Center for Theology and Social Analysis at St. Louis University has formed a new campaign: SILENCE = WAR. Please visit the group’s emerging website: http://www.silenceiswar.org/ and support their efforts to speak up for peace. As their first effort, the group has written to the two Missouri senators asking if they would “take an unprovoked military assault against Iran off the table.” And if they would withdraw their support for the preparations for such an assault underway in Missouri as Boeing in St. Charles builds and delivers a new 30,000 pound bunker buster bomb that would be dropped by B2 bombers based at Whiteman Air Force Base outside Kansas City. The letter requests a written response by December 3. To see the content of the full letter, visit: http://www.ctsastl.org/Iran/bond_iran.pdf. * Another dear friend Jack Renard of St. Louis University was one of the first St. Louisans to respond to the above plea for peace with a letter of his own. Jack’s letter is so balanced, sincere, and insightful that I have asked his permission to share it with you in the hope that many use it as a model: http://www.ctsastl.org/Iran/renard_iran.pdf. Prof. Renard is a distinguished scholar of Islam with numerous book titles to his credit. Some of his works such Seven Doors to Islam: Spirituality and the Religious Life of the Muslims published by University of California, Berkeley are now classics. 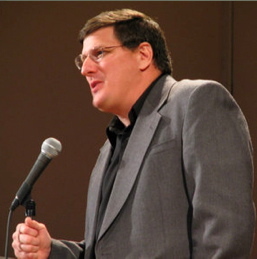 For his other works, visit his site at: http://www.slu.edu/colleges/AS/theology/faculty_renard.php. * Another important piece on the dangers of an attack on Iran is called “Hands Off Iran” by Chris Hedges. In this brief and insightful piece, Hedges lays out the implications of an unprovoked war against Iran: http://www.thenation.com/doc/20071210/hedges. * Let’s take a break from war talk by a visit to another visual delight. Many think sculpture is among the art forms not commonly favored by Muslims. 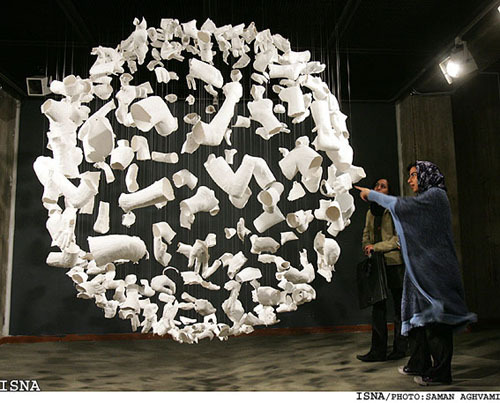 Well, the Fifth Tehran Contemporary Sculpture Biennial, this week, has enthralled art critics world wide. To read a short description and see photos of the sculptures, visit: http://www.payvand.com/news/07/nov/1218.html. An exhibit at the Fifth Tehran Contemporary Sculpture Biennial (click the link below for more information on the event and check out some of the other interesting exhibits as well). Another exhibit at the Fifth Tehran Contemporary Sculpture Biennial (click the link below for more information on the event and check out some of the other interesting exhibits as well). * Most people passing the Boston Common’s Park Street T stop shrugged at the display: a red telephone with a retro design, symbolic of the hotline established between the White House and the Kremlin during the Cold War. It sat on a small table with a white table cloth and a sign out front, which proclaimed “Direct Line to Iran.” An MIT student stood to its left, listened in on headphones and provided English-Farsi translation. http://www.commondreams.org/archive/2007/11/14/5205/. * If you want to join a group of vibrant Iranians and Americans who have started an international effort to prevent war between the US and Iran, just visit the bi-lingual site “Enough Fear” at: http://enoughfear.org/. The organizers of the site collect and post photos of Americans and Iranians to demonstrate the solidarity between the peace makers in both countries. Do join, and make your own contribution, every click counts! (my thanks to Robert Connolly for sending this wonderful site). * Mr. Daniel M Pourkesali, a U.S. Board member in Campaign Against Sanctions and Military Intervention in Iran expresses concern that the danger of a U.S. military attack on Iran is far from over. In a meticulously documented piece, he mentions – among other things- that “according to a report published by The Observer [http://www.guardian.co.uk/Iraq/Story/0,,2209036,00.html], US military officials are pressuring interrogators questioning Iraqi insurgents to press for incriminating evidence that points to Iran.” For the full article go to: http://iranian.com/main/blog/daniel-m-pourkesali/saber-rattling-us-next-disaster. * Just so we don’t despair totally, there are still many voices of sanity, some from the U.S. army, working hard to prevent a military campaign against Iran. To read a very interesting article on this, sent by Matt Miller, visit: http://www.truthdig.com/report/item/20071115_sane_officers_oppose_cheney/. A painting by Farah Ossouli (please see the link on the left for more of her work). * Let us close this window with a slide show of recent paintings by a young Iranian woman artist Farah Ossouli. You have seen another of her exhibits in these windows. But this one is different. Please click here: Farah Ossouli Paintings. Enjoy.